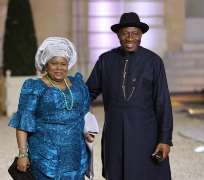 Also President Jonathan's party, the People's Democratic Party (PDP), had lost control of some key states which meant it could not control the electoral process there. The PDP has been described as an election-winning machine. When it was created it united a northern elite with leading politicians from the south, but that alliance has broken up and the party lost some key figures. Even the former president, Olusegun Obasanjo, distanced himself from President Jonathan. Nigeria is Africa's biggest oil producer and its largest economy, but many fail to feel the benefits with nearly half the population living below the poverty line. Continued corruption is seen as partly being to blame. President-elect Buahari now has to prove he can really change things.